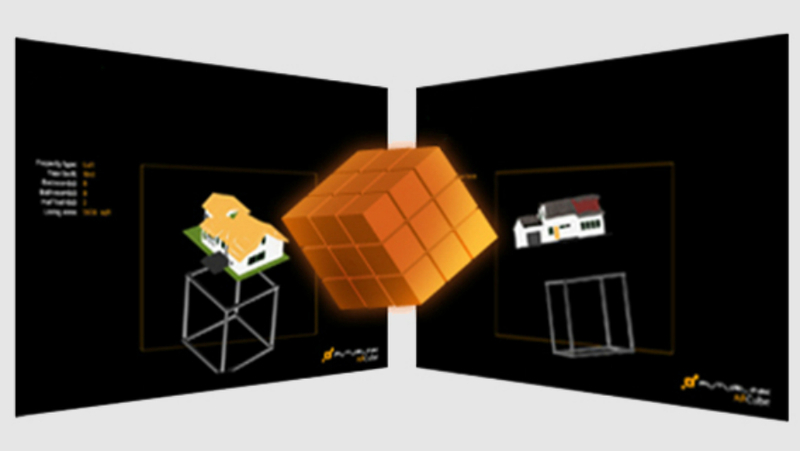 A Rubik’s like cube and a screen showing a catalogue of products in 3D is all which is needed to engage users in a an augmented reality experience which allows them to explore every product in detail, move, rotate or zoom them by only manipulating the cube with their hands. By changing cube faces, users can easily examine products from different points of view or discover new 3D objects. Project running: 15.2.2010 at Mobile World Congress. Tasks: idea, AR sensing, production. Photos and videos: Natalia Rojas, Sebastian González, Futurlink.